The suit before the International Centre for Settlement of Investment Disputes (ICSID) is a setback to Rwanda’s mining sector, which has lately gone through a series of reforms aimed at attracting large-scale investors and increasing revenues from mineral exports. The US investors trading as Bayview Group and Natural Resources Development, filed a lawsuit at the ICSID in 2017 under case file No. ARB/18/21, but it was not until mid-2018 that a procedure agenda was developed, documents show. Three arbitrators — two British nationals, Barbara Dohman and Nicholas Phillips, and the American Truman Bidwell — were appointed for the hearing. The ICSID has set a procedure agenda for the tribunal hearing to begin in March and run till December 2020. Bayview Group sent its first notice of intent in April, 2017 to Claire Akamanzi, the chief executive of the Rwanda Development Board and Francis Gatare, chief executive of Rwanda Mines, Petroleum and Gas Board. The case is expected to be handled by the Ministry of Justice, but officials were not available for comment by press time. The US companies were, since 2008, involved in mining of tantalum, tin and tungsten at five Rwandan mining concessions: Bisesero, Nemba, Mara, Giciye, and Lutsiro-Sebeya, all valued at around $20 million. Their mining sites, sitting on 15,000 hectares, had by 2016 been effectively seized by government and offered to other investors. The seizure came after a longstanding feud between the two parties, with the government accusing the investors of injecting less capital than what they had agreed to do. At the time, government officials had constantly pointed out that the investors were running down the mining sites by failing to invest as agreed, and destroying the environment by employing crude mining methods. After seizing the concessions, the government in 2016 awarded them to Tri Metals Mining — an Oman-based company — in a deal worth $39 million. The investors however claim that Rwanda seized its concessions illegally, and “nationalised” their assets and mining businesses without payment of compensation. "Rwanda inexplicably formally seized the mining concessions without any payment of compensation to the investors, returned only the environmental cash deposit, and made clear that it reversed its prior position on compensation,” Roderick Marshall, the representative of the companies said in documents seen by The EastAfrican. On top of the $95 million compensation that they are seeking from Kigali, the investors also want the ICSID to make a formal declaration that Rwanda violated their BIT and international law obligations. They also want Rwanda to pay all costs of the trial and their attorneys’ fees, estimated to be over $1 million. 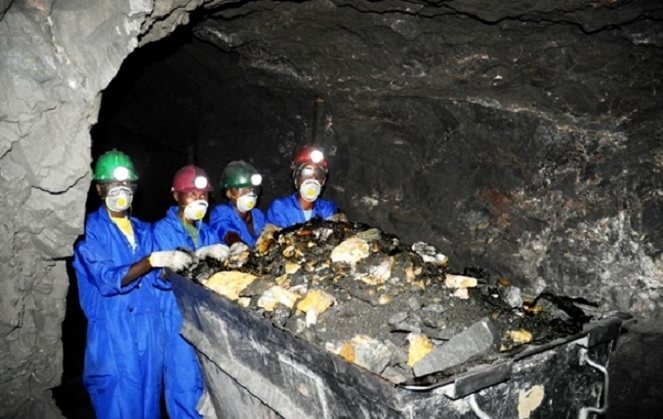 The investors say that their operations in Rwanda were disrupted by illegal miners whom the authorities supported, and that authorities ignored their reports about extortions and threats of violence from individuals who wanted to encroach on the mining area. Rwanda has previously warned foreign investors against keeping their mining sites idle after winning tenders for large concessions. The country is grappling with illegal mining and has over the years suspended the operations of several mining companies and co-operatives found to be breaching formal mining procedures. Last year, Rwanda published a new mining law, increasing the price for mining licences with the cheapest now going for Rwf700 million ($8 million) for a mining field of 49 hectares over five years. Rwanda generated $373 million in mineral revenues in 2017, exceeding its target by 55 percent. The case against Rwanda highlights the challenges in the region’s mining sector, as countries institute reforms to safeguard national interests. The increasing restrictions on foreign investments are being blamed for the decline in foreign inflows into the region’s mining sector. A recent survey by the US-based advisory firm AT Kearney, shows that investors are more concerned about the operating environment in emerging markets and prefer putting their money into the US economy due to the country’s large domestic market, improving economic performance and new, lower corporate tax rate. In 2017, an Australian mining company, OreCorp, announced plans to review its operations in Tanzania after the country revised its mining laws to enable the government to renegotiate all mining contracts. The US Agency for International Development says foreign investors seeking to inject capital into the region are facing regulatory and policy restrictions, that have reduced their appetite for putting money into in the six-member economic bloc. Rwanda is not the first East African country to be sued at the ICSID. In 2015, Pacific Wildcat Resources, a Canadian mining firm, instituted a case against Kenya for cancelling its licence for the exploration and development of minerals in Mrima Hills, Kwale County. UK firms Cortec Pty Ltd and Stirling Capital, its subsidiaries, also jointly filed a request for arbitration against Kenya. In 2013, Kenya’s then mining minister Najib Balala revoked the licences of Cortec Mining Kenya and other mining companies on the grounds that they were irregularly issued. Pacific Wildcat, which fully owns Cortec Pty and Stirling, the majority shareholders of CMK, claimed Kenya unlawfully expropriated its investments and breached the bilateral investment treaty’s obligation to treat them fairly and equitably. ICSID dismissed the case on the grounds that there was no legitimacy to the claims made by Cortec.